Keeping track of prices changes in the markets and discovering new trading opportunities doesn’t have to be daunting – Autochartist does the hard work for you. It sorts through the clutter and lets you filter all pricing levels and patterns, meaning you have the info you need to stay on top of the latest market movements. It’ll keep you up to speed on the latest market movements thanks to constant, daily scanning. Make informed trading decisions with automated chart pattern recognition. 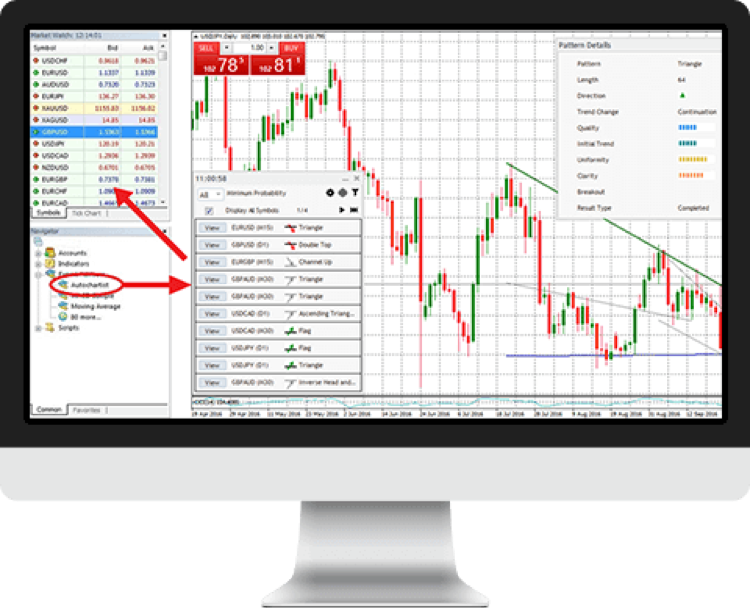 It recognises trade set-ups based on support and resistance levels. You’ll get alerts when chart patterns emerge or are completed. Access daily market reports so you’re up to date with all the latest news and moves. Lots of research: trading opportunities are evaluated against their past performance with respect to pattern type, the type of instrument and the time of day it was identified. A complete market scanner searching for tradeable patterns across all instruments. Filter opportunities based on the type of pattern. Display only the high-probability opportunities emerging or in play. A risk calculator that allows you to set the amount of money you are willing to risk on a trade along with desired entry and exit levels. 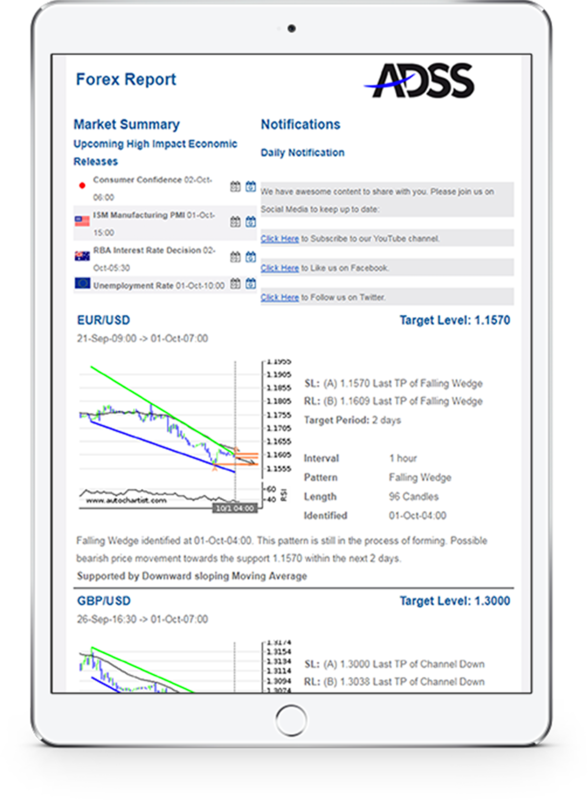 You can pick up to three reports (delivered three times daily) that are sent before the European, US and Asian trading sessions, including trade set-ups on forex currencies, indices and commodities. I consent to receiving educational material and information about ADSS’s products and services.